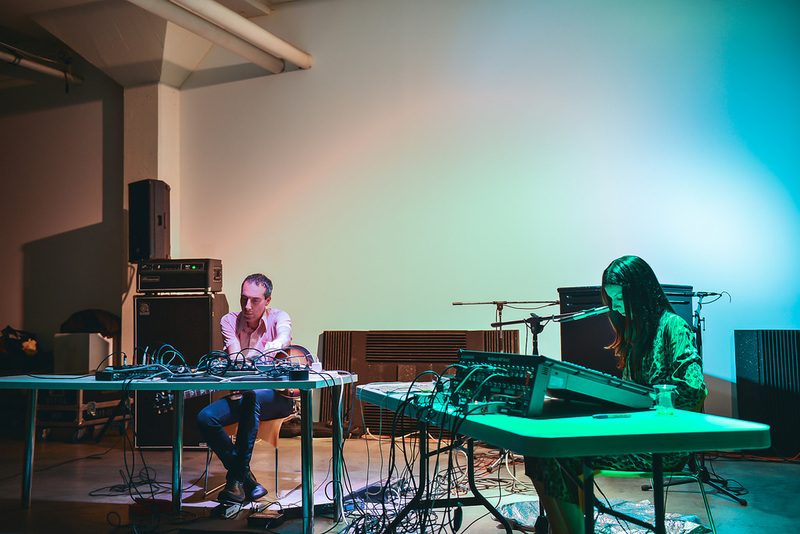 crys cole &/ Oren Ambarchi duo @ Fourth Edition Festival in Stockholm SW, February 2019.
crys cole & Oren Ambarchi duo @ Borderline Festival in Athens GR, April 2018. Images courtesy of Borderline Festival. 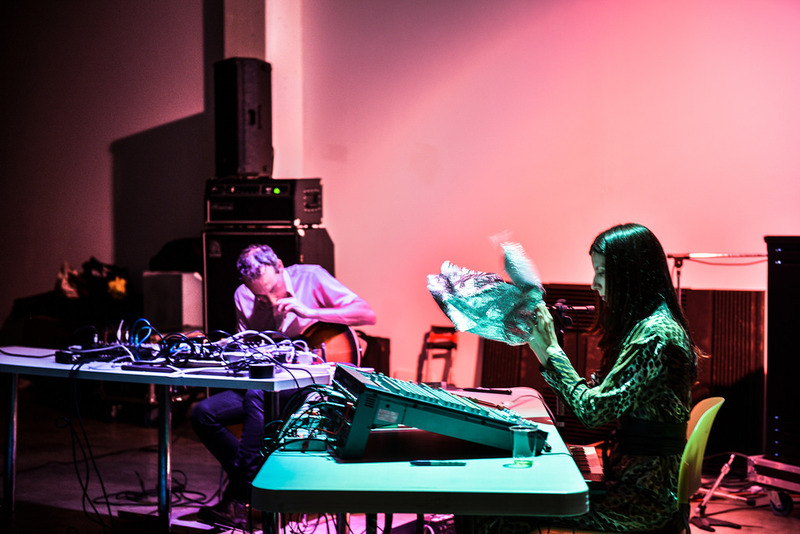 Performances with ensemble at the No Man’s Land edition of the Playfreely Festival in Singapore, December 2017. 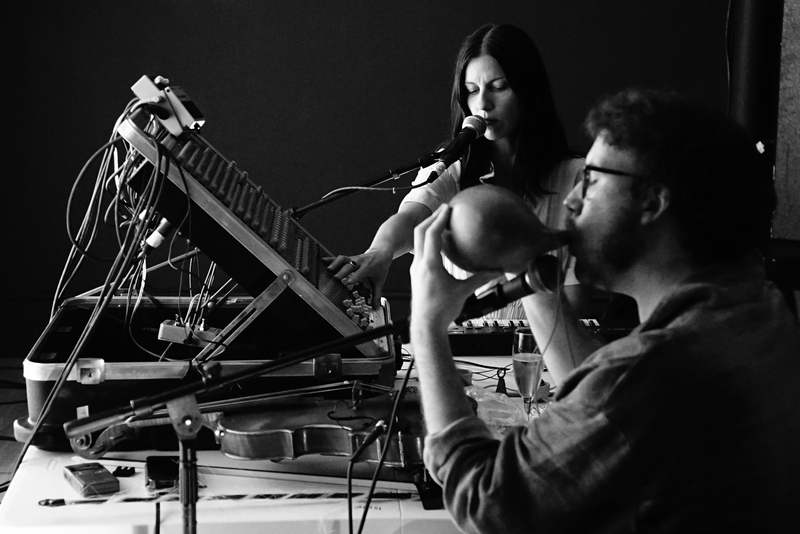 Ora Clementi live at Crescent Fort Rouge United Church, Winnipeg November 2017.
crys cole & Oren Ambarchi duo at Abbotsford Convent for Inland 17.0, Melbourne AU, January 2017. 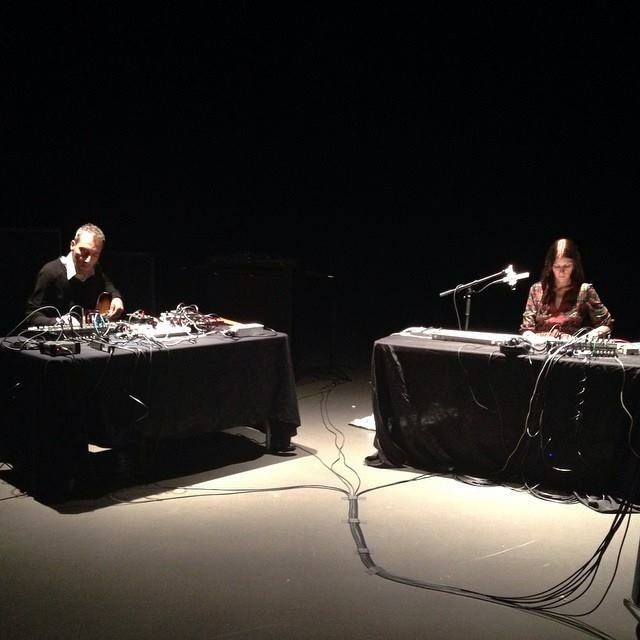 Duo with Oren Ambarchi at VIVO Media Arts Centre in Vancouver, Canada – March 2015. 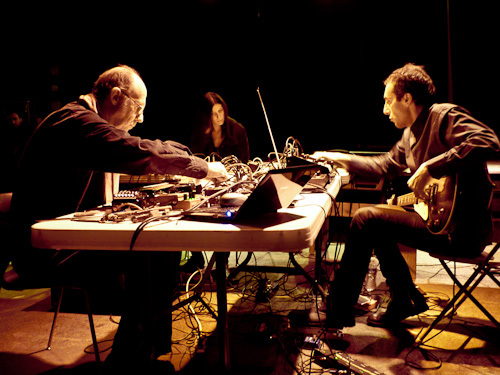 Live duo with Oren Ambarchi (AU) at the Conrad Prebys Music Center Experimental Theater – University of California, San Diego, March 2015. 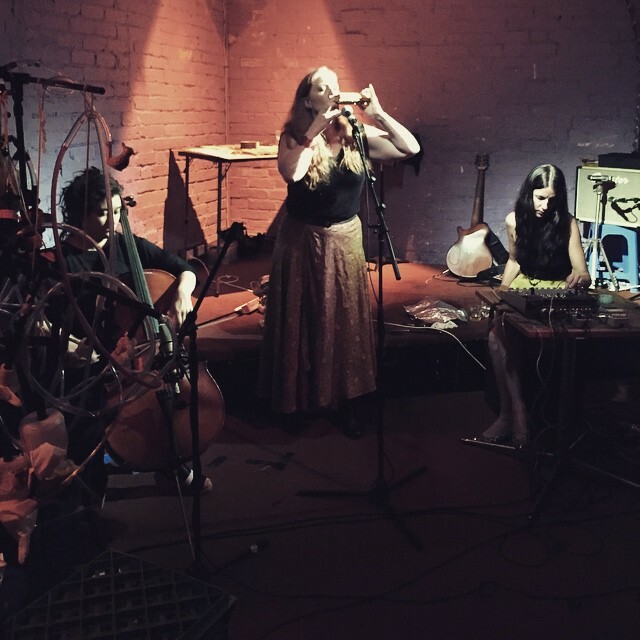 Trio with Carolyn Connors (AU) and Anthea Caddy (AU) in Melbourne, at Make It Up Club, January 2015. Photo by Lloyd Honeybrook. 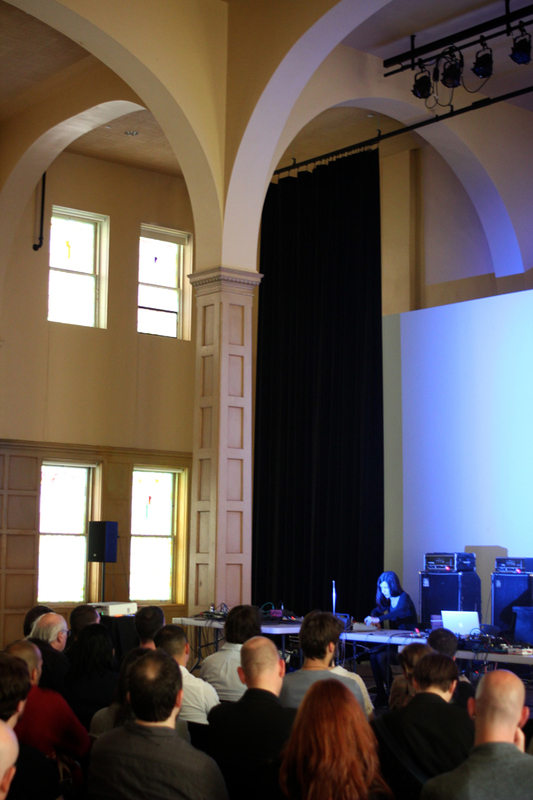 Solo performance for spring reverb, contact and voice at the Windsor Hotel, Winnipeg, September 2014. Photo by Robert Szkolnicki. 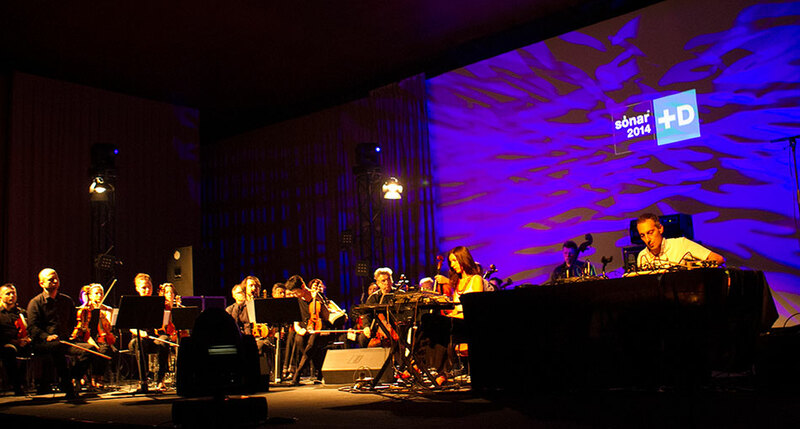 Oren Ambarchi’s Knots Ensemble with the Sinfonietta Cracovia, live at SONAR 2014 in Barcelona, June 2014. 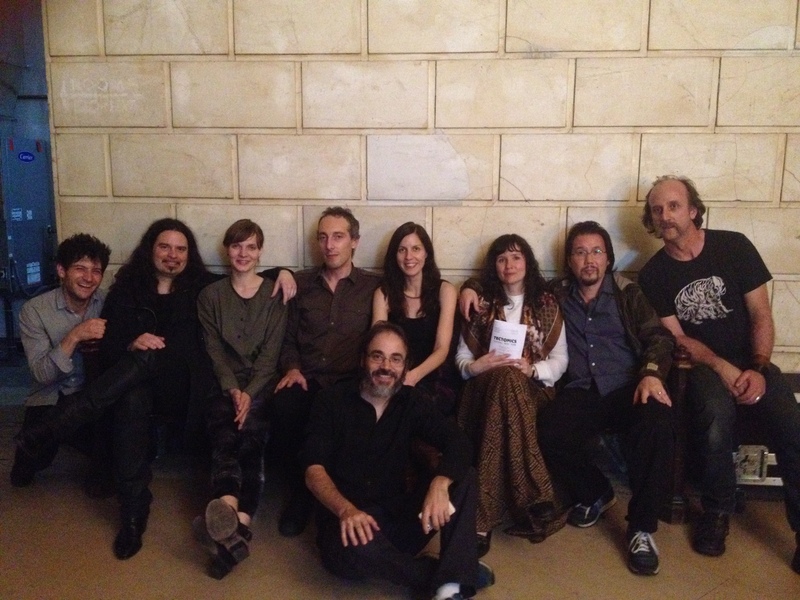 Some of the Tectonics NYC crew, May 2014. 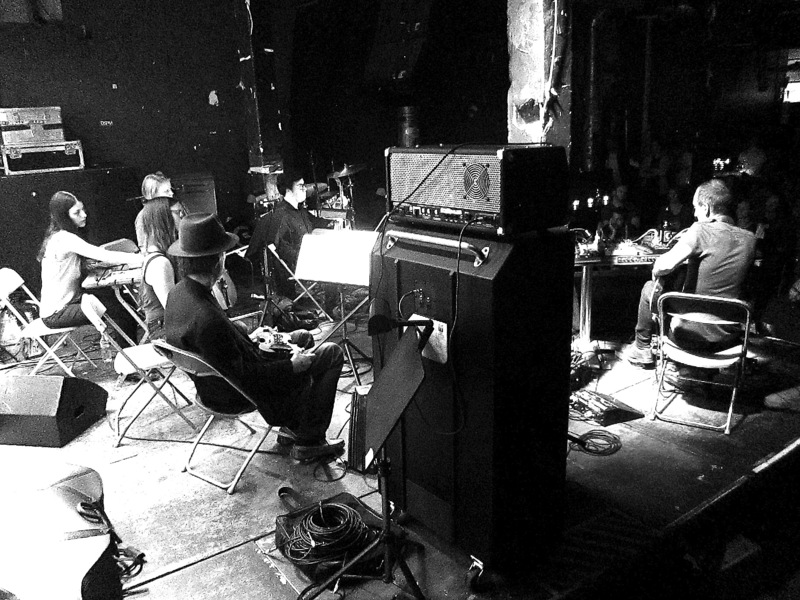 From L – R: Eli Keszler, Stephen O’Malley, Hildur Guðnadóttir, Oren Ambarchi, crys cole, Jessika Kenney, Eyvind Kang, sound engineer Bob Bellerue and curator/conductor/musician extraordinaire Ilan Volkov seated in front. 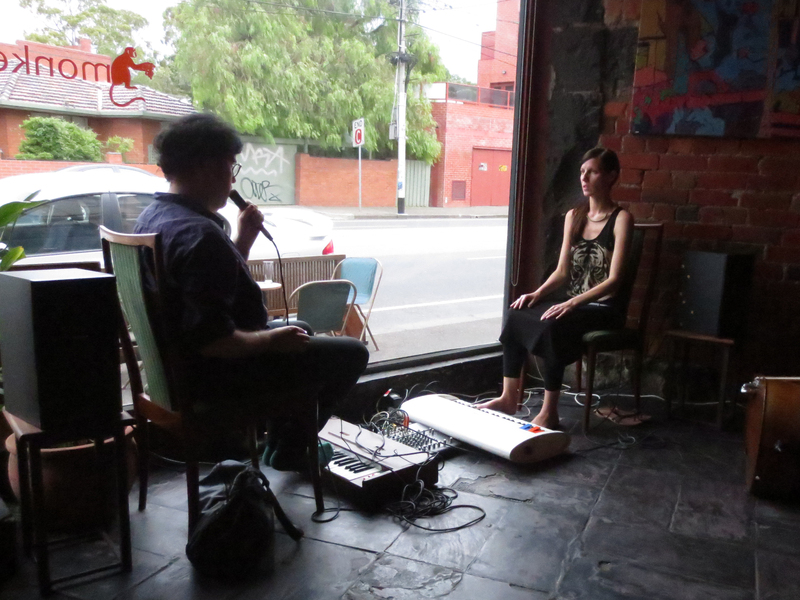 Duo with James Rushford at Monkey Bar in Melbourne, December 2013. 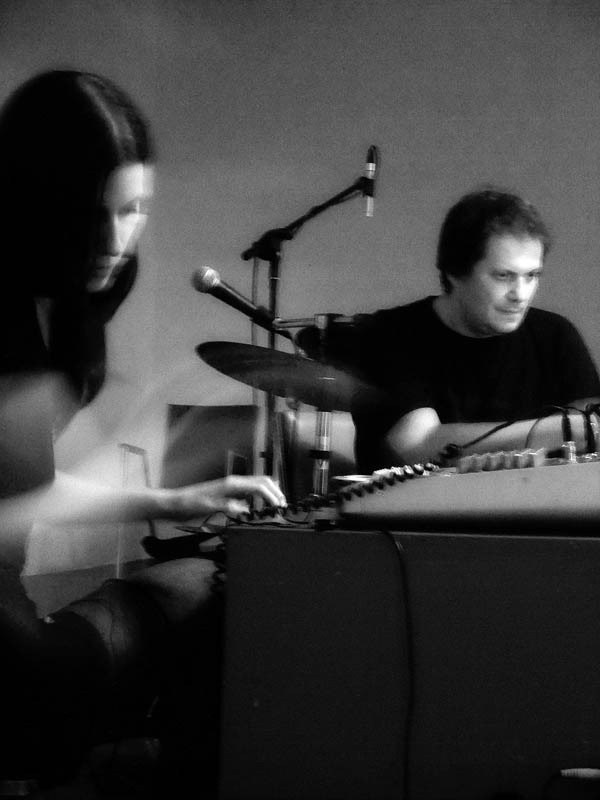 Photo by Oren Ambarchi. 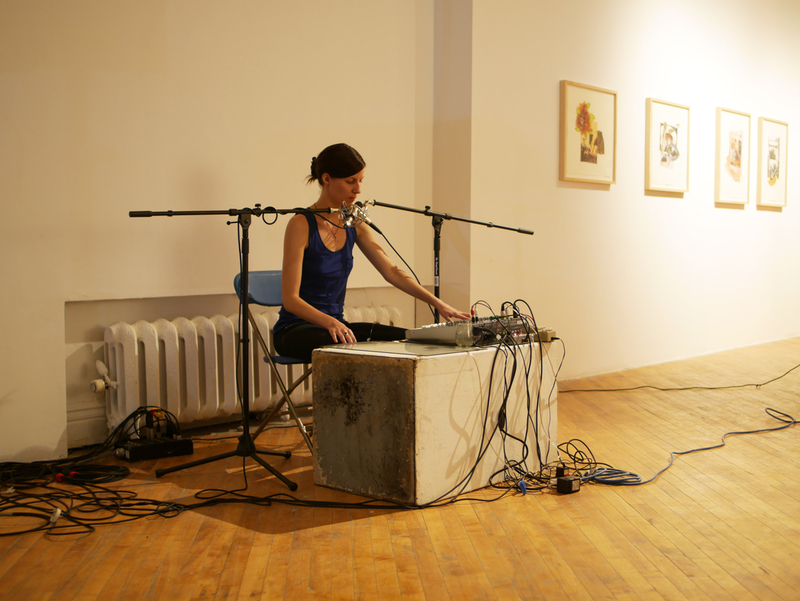 Solo performance of piece ‘Attune’ presented at Interaccess in Toronto, November 2013. Photo courtesy of Interaccess. 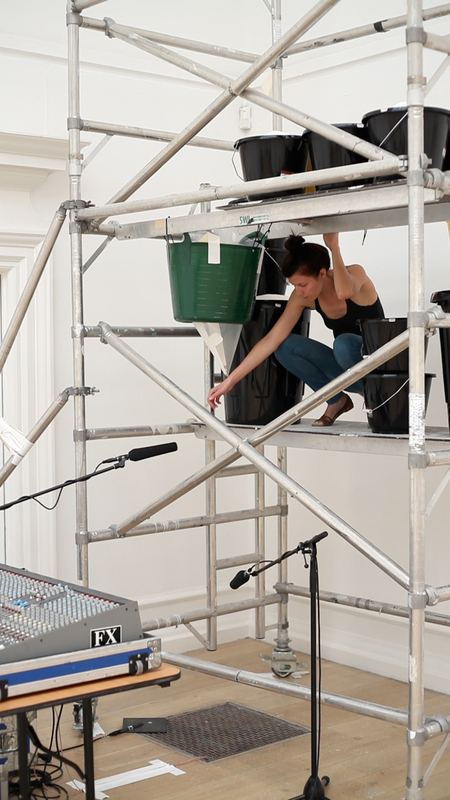 Installation shot for Filling a space with salt (in two parts) a site-specific sound sculpture created at the South London Gallery in 2013 for the group exhibition At The Moment of Being Heard. 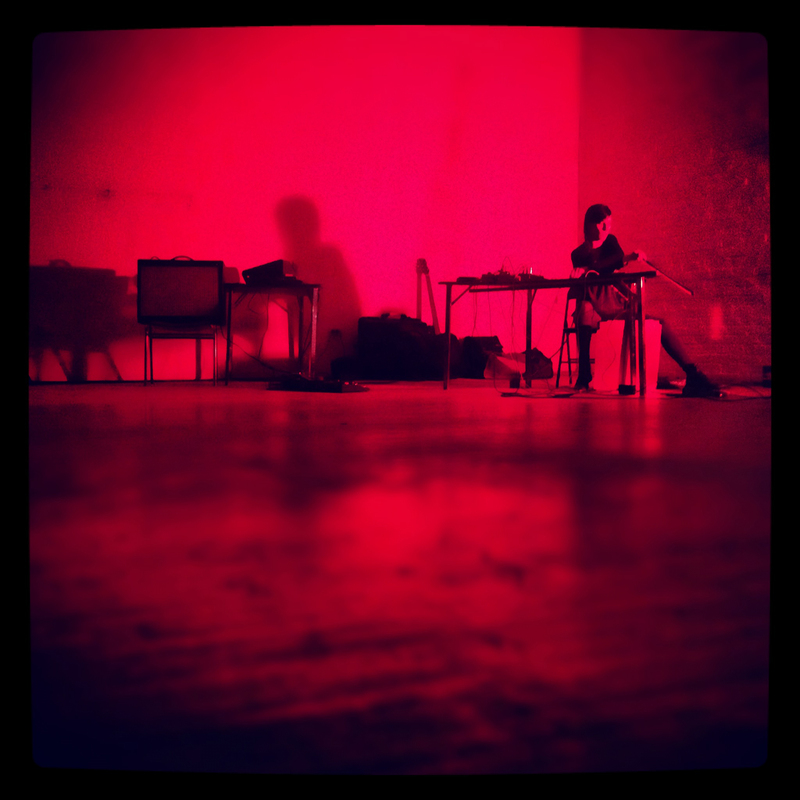 Solo performance at Trem Azul in Lisbon, June 2013. 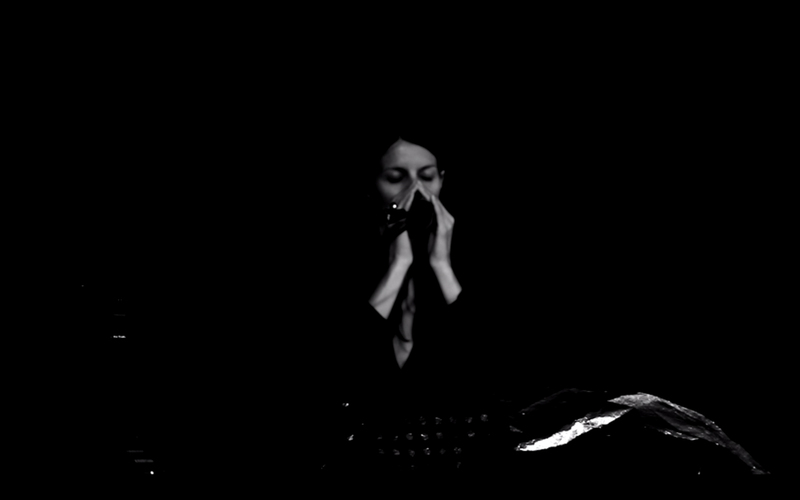 Still from video by Miguel Lopez. 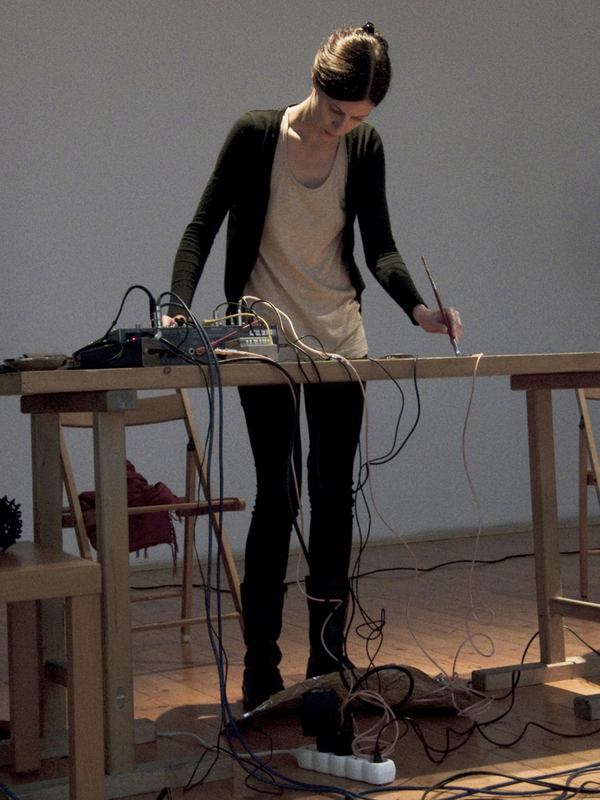 As part of Oren Ambarchi’s ‘Knots’ Ensemble at the Only Connect Festival in Oslo, May 2013. 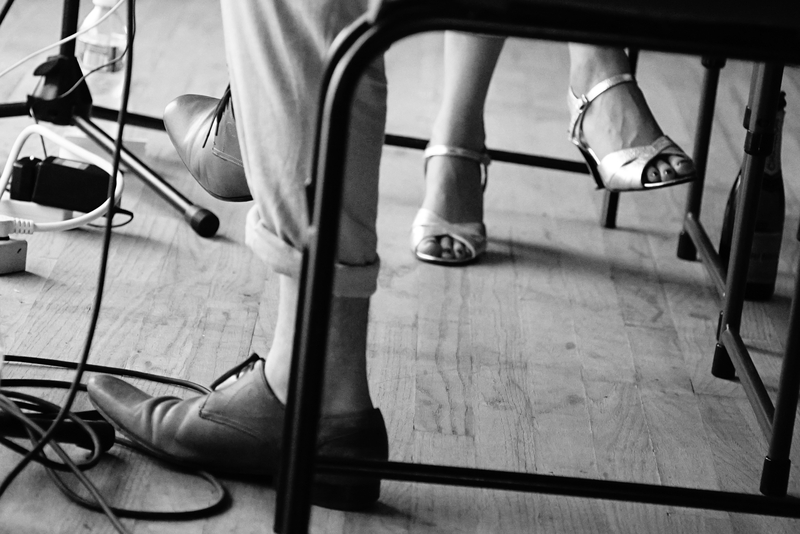 Photo by Lasse Marhaug. 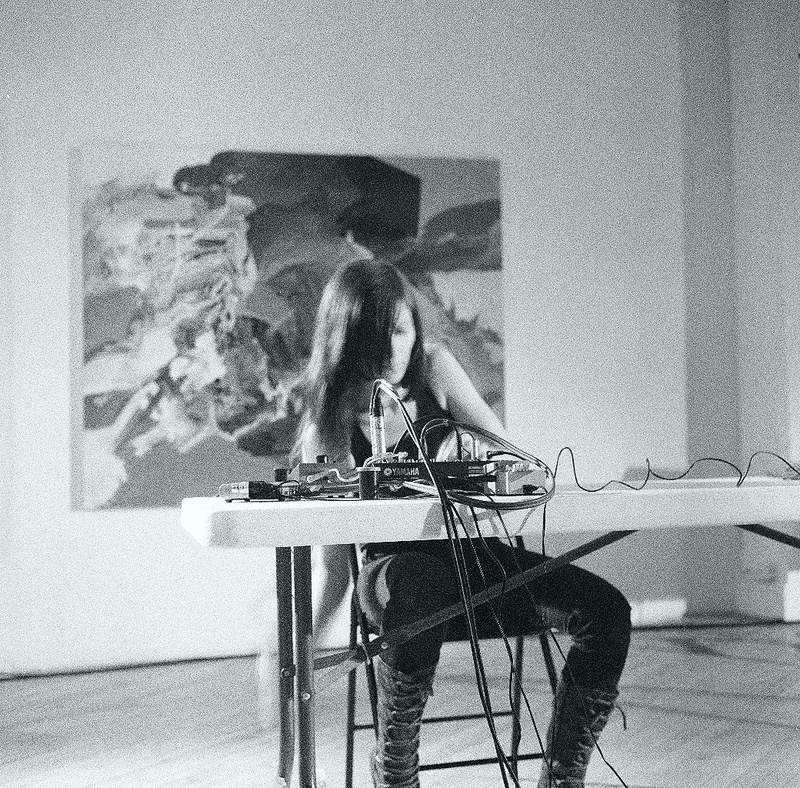 solo at Negative Space in Winnipeg, 2012. Photo by Travis Cole. 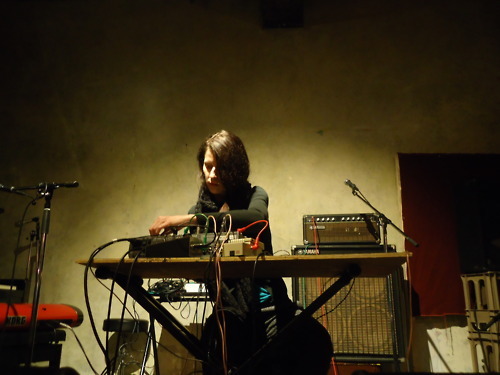 solo at Urban Guild in Kyoto, February 2012. Photo by Christopher Olson. 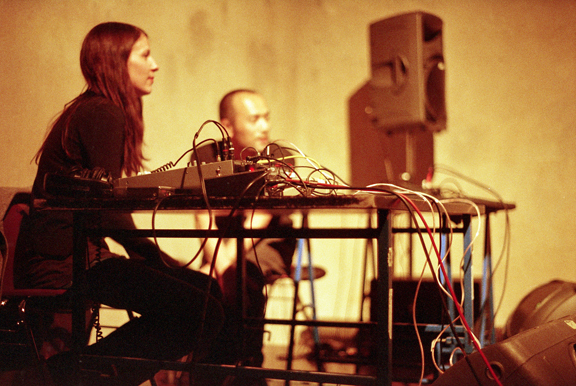 duo with Tetuzi Akiyama, Super Deluxe in Tokyo, February 2012. 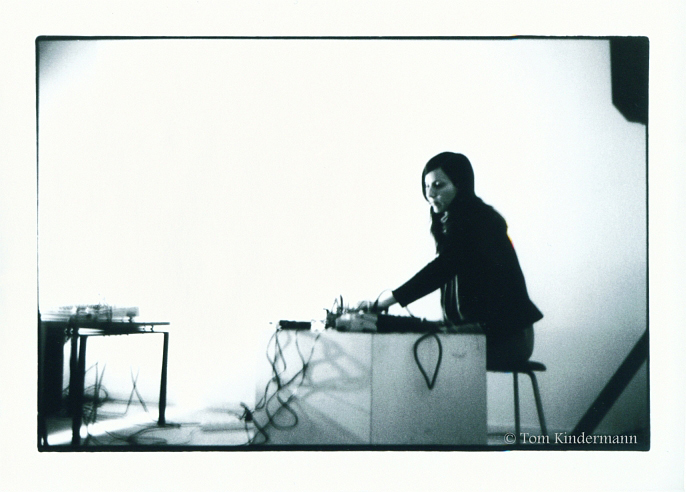 Photo by Eigen Kino. 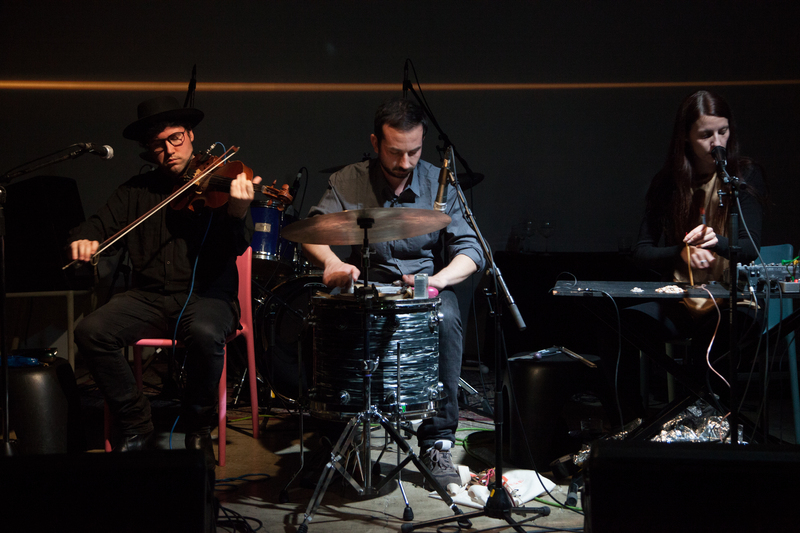 Trio with Tim Olive & Jeffrey Allport, aceartinc. WInnipeg 2011. Photo by Robert Szkolnicki. 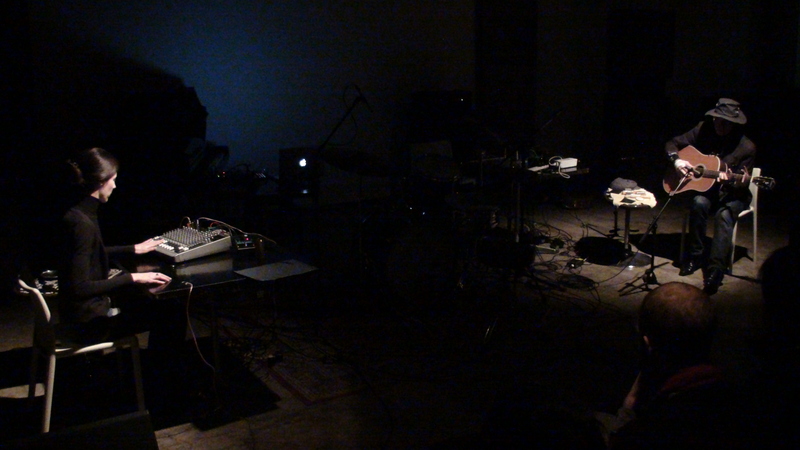 solo at SubStrata festival, Seattle 2011.
duo with Seiji Morimoto, at Ausland, Berlin 2011. Photo by Oli Rennt. 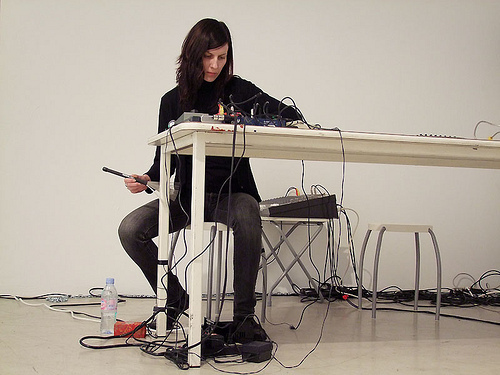 solo at Skolska 28 in Prague, 2011. Photo by Martin Blazicek. 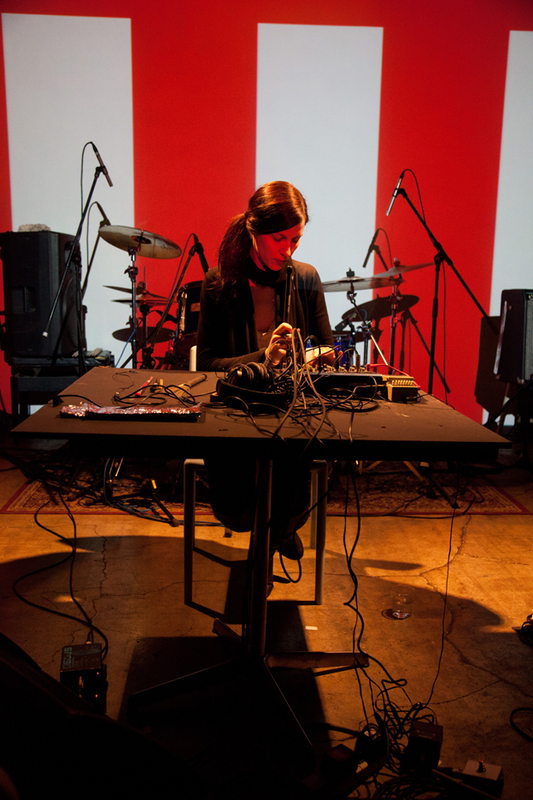 solo at Super Deluxe in Tokyo, 2011. Photo by Ujin Matsuo. 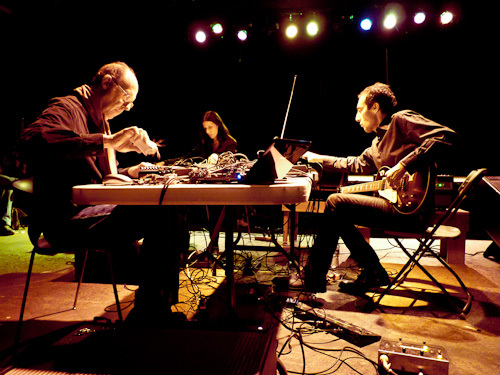 trio with Keith Rowe (UK/FR) and Oren Ambarchi (AU) at Littlefield, Brooklyn 2010. 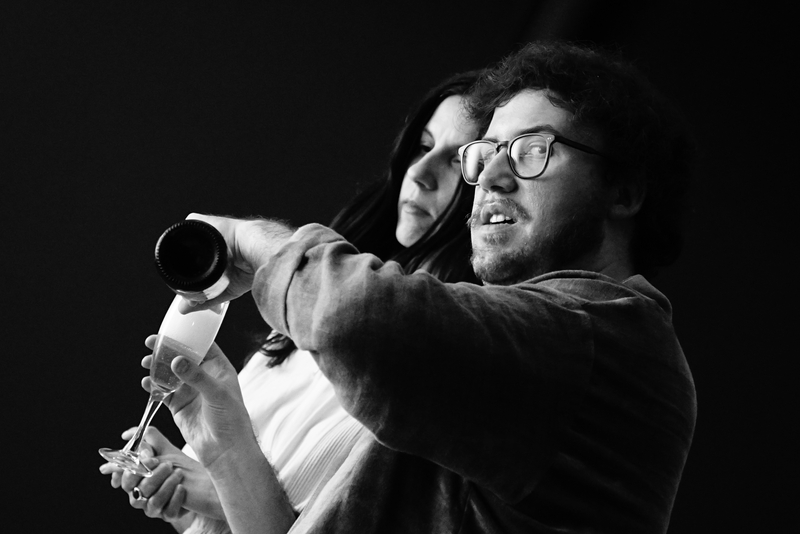 Photos by Peter Gannushkin. 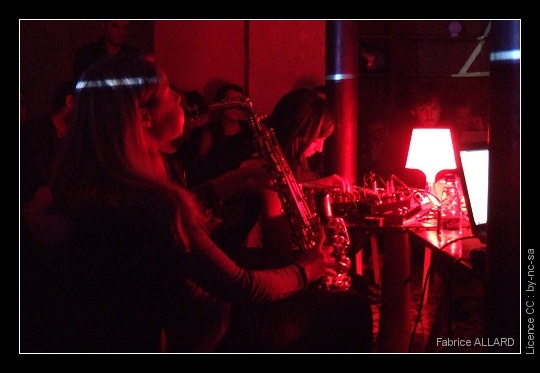 duo with Christof Kurzmann at What’s Up Vienna! event, Winnipeg 2010. Photo by Robert Szkolnicki. 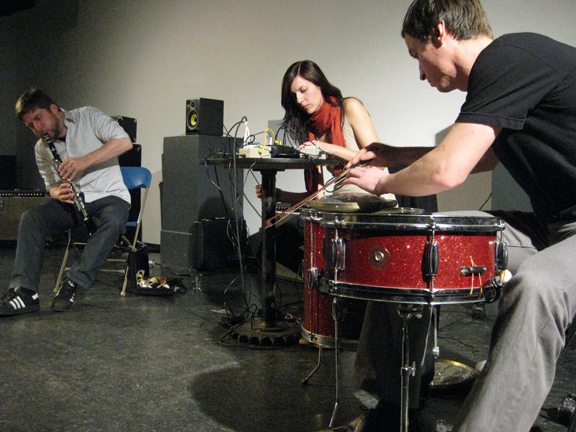 Strawberry Jam telematic quartet performance with Echo Ho (DE), Joomi Seo (CA) & Sheng Jie (CN) at Centre A, Vancouver 2010. 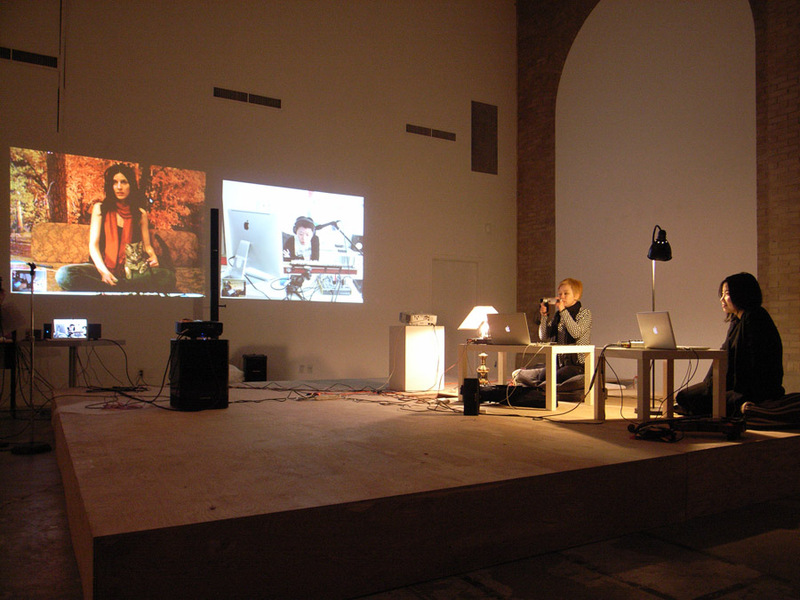 Photo courtesy Centre A.
Quartet with Christine Abdelnour (FR – pictured), Clare Cooper (AU) and Julie Rousse (FR) at la Societé de Curiosites, Paris 2009.
trio with Kai Fagashinski (DE) and Jeffrey Allport (CA) at the Your Hit Parade festival – VIVO Media Art Centre, Vancouver 2009. Photo by Christopher Olson. solo at send + receive: a festival of sound v.9, Winnipeg, 2007. Photo by Travis Cole. 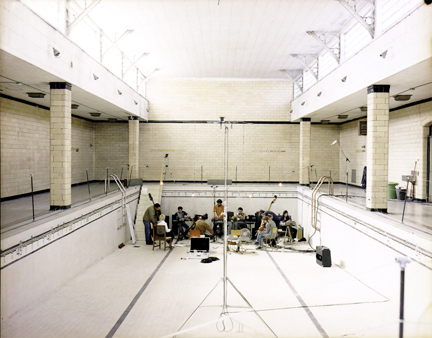 Nager-Noyer tentet performance at Piscine Saint Michel, Montreal 2001. Photo by Jace Lasek.